Recover Deleted Files Mac Now! Accidentally deleted file or folder on Mac? Do you have encountered this issue and tried to find a way to recover deleted files on Mac? Whether you deleted files intentionally or unintentionally, there are still chances for you to look for and recover deleted Mac files. The sooner the better. All deleted files on Mac are put into the trash can, from where you can restore. If you have emptied the trash can, you can recover deleted files on Mac without software from Time Machine backup files. 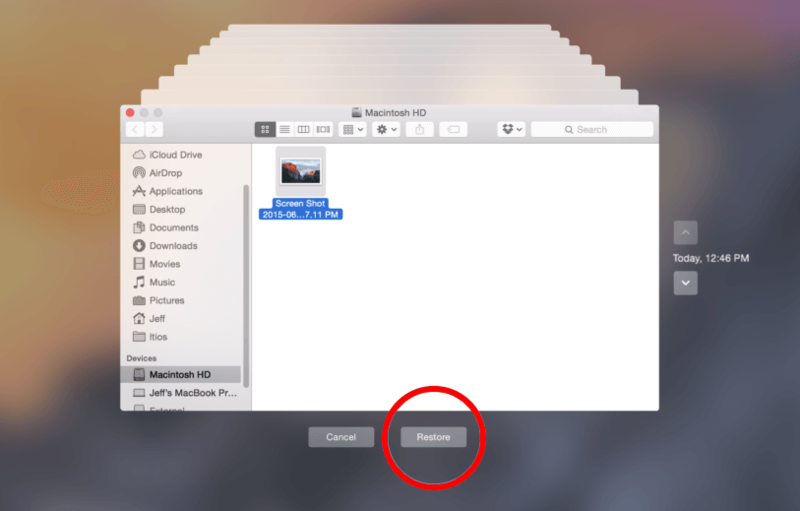 If these 2 ways are invalid, you can try an effective way to Mac undelete. Check out the details below to recover deleted files on Mac without/with software. Don't worry about how to do Mac recover deleted files. Whether you use "command + del" to delete, empty the trash after deleting or other reasons. This safe and effective way will help you to restore deleted files on Mac OS X, no matter you have a backup or not. 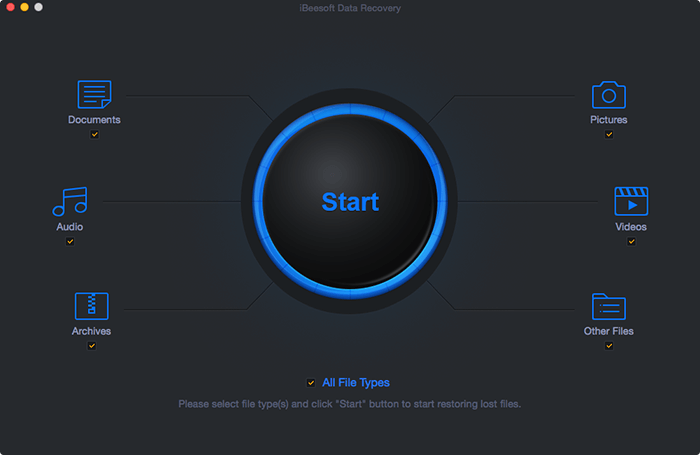 Here, I recommend trying iBeesoft Data Recovery for Mac to easily and quickly recover deleted files on Mac. Why is the best way to use the software? Because, after files are deleted, they will be hidden and we can't see them. but the Mac deleted file recovery tool can discover and retrieve them. More importantly, iBeesoft Mac data recovery software has read-only features, so you don't have to worry about data being corrupted or overwritten, causing to undo deleted files on Mac failure. 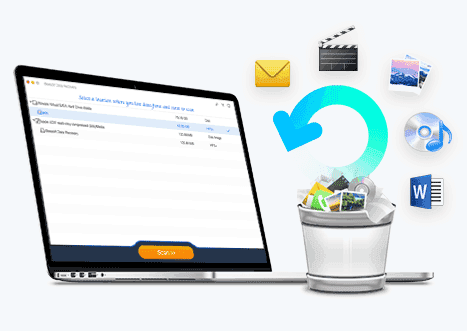 The best Mac undelete tool specially developed for users to completely recover deleted photos, documents, videos, emails, music files and more on Mac OS X. It works extremely fast and supports almost all data loss scenarios. 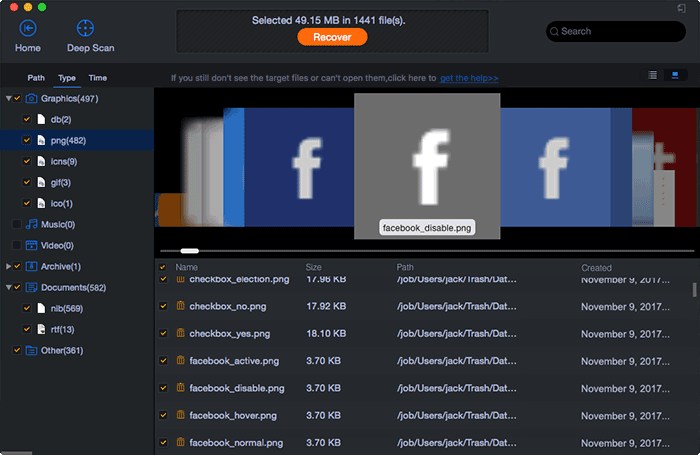 The interface of the recover deleted files Mac program is both intuitive and well-organized. Overall, iBeesoft is one of the best choices in this software category if you accidentally removed some important files on Mac or external devices. With its help, you can undelete files on Mac with simple steps. This professional Mac undelete/unformat software can recover deleted files from Mac, USB drive, memory card, and other removable storage devices in simple clicks. It provides two powerful scanning mode (quick scan and deep scan), to a better to recover deleted files on Mac OS X. It can preview the deleted/lost files before recovery, easily search and filter file types to help you quickly to Mac recovering deleted files. Download the application on your computer to recovering deleted files on Mac. It is virus free, so you can install it without worrying about the security issue. It is fully compatible with the macOS High Sierra(macOS 10.13) and latest versions. Check out the steps for how to restore deleted files on Mac via iBeesoft Data Recovery for Mac. Launch the recover deleted files Mac tool. From the main window, you can see all supported file types are selected. Please uncheck the unwanted ones. It will saves you time for scanning Mac for the target files. If you don’t want to uncheck them, please be patient for the scanning process. The time it takes depends on how many files it scans. Click "Start" to find your deleted files on Mac OS X. In the next window, all drives on your Mac is displayed in there. You need to select the disk/volume where the target files used to exist and click the "Scan" button to scan and recover your deleted Mac files. After the scanning process, you can see all found files are displayed in the main window. From there, you need to click the file category in the left side, then preview the files on the right side. 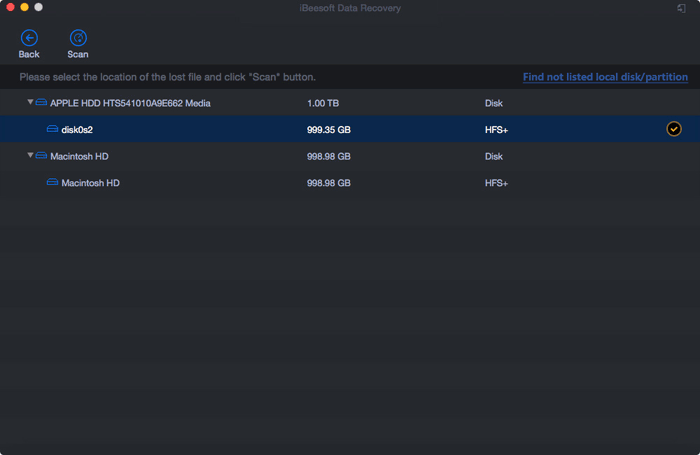 After then, find the target one(s) and click "Recover" to save them back to your Mac. Whether you deleted the files you want to recover by dragging them to trash can or right-click on the files and click "Delete", all the deleted files are put into the trash can. If you haven’t emptied the trash can yet, and deleted the files recently, then you can restore deleted files on Mac. Move the mouse over the icon of the trash can in Finder, and you can see the deleted files are listed there. 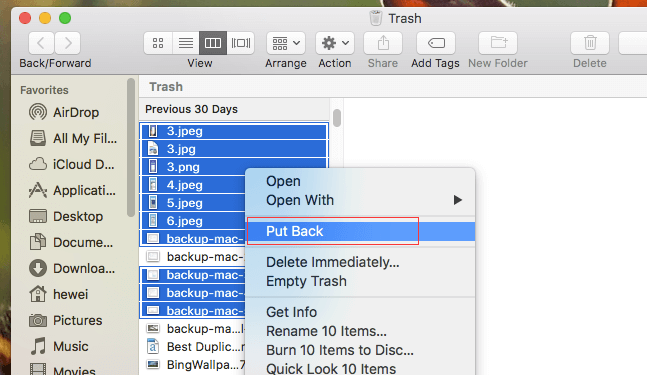 When find the target files, drag them to the desktop, or right-click on them and select "put back" to recover deleted files on Mac from trash. Please note that you have only 30 days to restore deleted files from the day you deleted them. After then, the deleted files will be deleted by Mac automatically and permanently. If you don't use the Time Machine Backup to backup your files, please use the part 1 to begin the recovery of your deleted files on Mac OS X. Some people like to empty the trash can after they deleted files on Mac which of course will result in the permanent deletion. Luckily, you can still recover deleted files on Mac without software by restoring the Time Machine Backup files. Step 1. Click the "Spotlight" icon on the top right of Mac. After then, type in "Time Machine" in the search box and search for it. Step 2. Find Time Machine in the search result and click to open it. Click the folder where your target files used to be. Step 3. Click the upward arrow to the right the Time Machine window, scroll through backup files until you see the deleted files appear. Step 4. Hold Command button to select the target files and click "Restore" to recover deleted files Mac. If the target files are in different folders, then you need to Mac recover deleted files by repeating the up mentioned process.